Copyright, 1880, by Willis Woodward & Co. Words and Music by Wm. Henry Whyte. She bade adieu to ship and crew as we sped o'er the harbor bar. 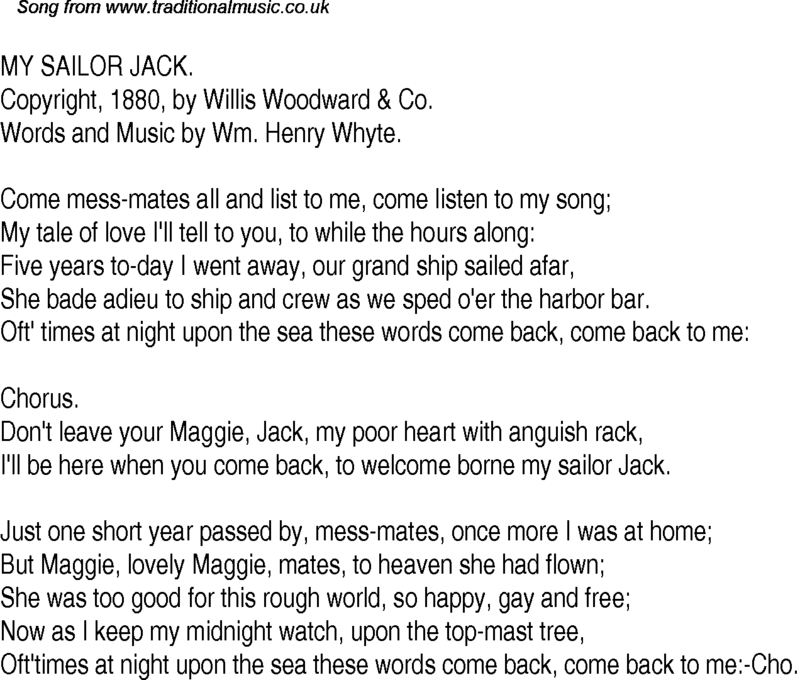 I'll be here when you come back, to welcome borne my sailor Jack. Oft'times at night upon the sea these words come back, come back to me:-Cho.